I’ve included some screenshots of how I want the three pages to look on www.hamillfloors.com.au. 2) I want the woo commerce single products page on www.hamillfloors.com.au to look like the screenshots from the example website. 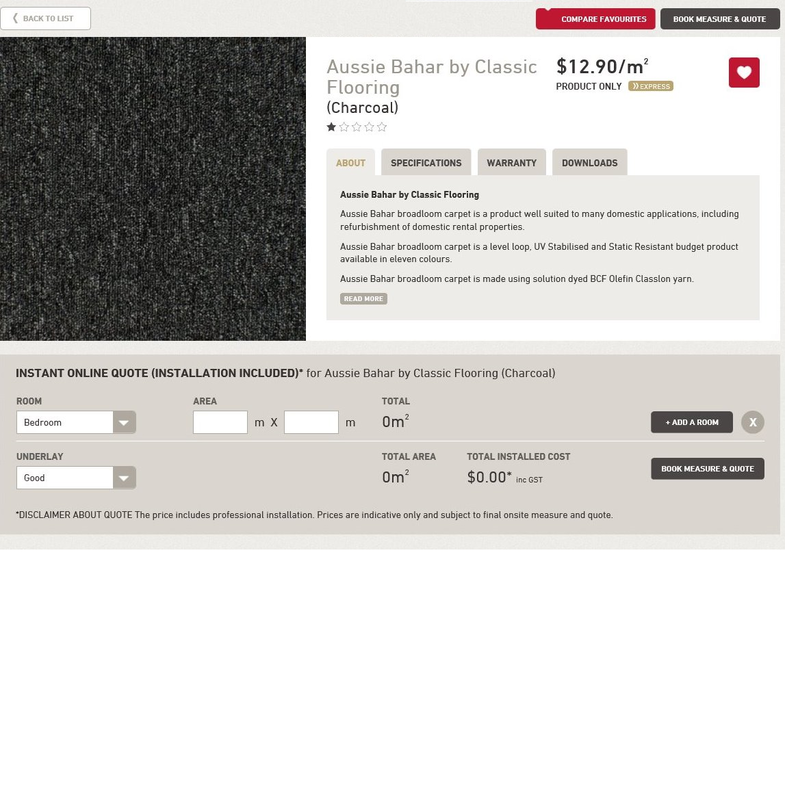 If possible I also want you to reuse code from our carpet calculator page and integrate that functionality into our woo commerce single products page and add the additional functionality as seen in the example website screenshots (i.e the carpet calculator on the page http://www.carpetsatyours.com.au/browse-flooring/carpet/aussie-bahar-by-classic-flooring/charcoal/ has a few additional functions in that it calculates the total installed cost based on the woo commerce product price. So for example $12.90/m2 is then multiplied by the amount of carpet in meters squared that the calculator calculates based on the users input (Basically just replicate what they have on their website on ours). 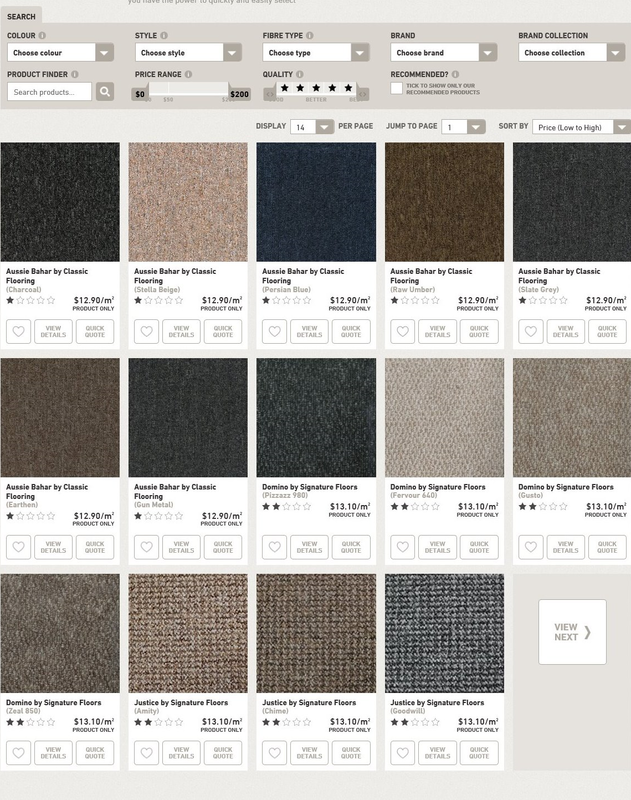 Also the carpet calculator has some drop down menus with selections for Room and Underlay. If these could be added to our carpet calculator that would be great. Please quote on job and give timeframe for completion. Hi, I am having a maintenance jobs for wordpress sites, and with very competitive price. Please check all of portfolio at http://www.softclouds.net/projects/. All of my clients are happy with my work in WP and Woocommerce. I have been working with WordPress for about 10 years and have built a wide variety of websites for both small and large organisations. I am honest, hard-working, reliable and punctual. I am available for an immediate start. I like your approach to ramp up sales through automation and elevated customer experience. We are in software and web software development business for over 12 years. During the course we would give you further guidance on doing things differently. We are the Experienced team with experience of more than 5 years in the industry. Please let us know we can start asap and finish it on time . I am a Freelance Web Developer for about 2years now. I worked with Agencies and other standalone freelancers who has more than 5 years of experience. I understand your need for your websites, and I am sure that with my skills, expertise, and network. I can bring your Vision to Live! This is with reference to your requirement for hiring a dedicated Web Designer & Developer ( PHP, HTML5 , CSS3, JS, Ajax, Jquery ) on www.ozlance.com.au , I've team of 2 Graphics Designers & 5 web developers with 7 + Yrs experience on WP, Woocommerce, Codeigniter, Core PHP, MVC, plugin customizations & development from scratch. Can work on Front-end and Backend along with Designing part ( HTML5, CSS3, JS, Jquery etc), who can work for you as dedicated designer/developers remotely at just $ 22 to 26 per hour, depends on amount and complexity of work, my developer will stay connected to you over skype for 8 hours a day and communicate with you directly, I will look after project management at no additional cost from my Brisbane office.